During the fall semester to lay the foundation for our thesis, my class was asked what we were interested in. For me, since the sophomore year I've had a particular fascination with neon signs. Coming from the suburbs of New Jersey, where these signs are sparse, I sought to understand why there was a resurgence of this glowing fixture in films, writing, music, advertising, social media, etc. Neon signs, especially in New York City, are everywhere and the proliferation is what piqued my curiosity. 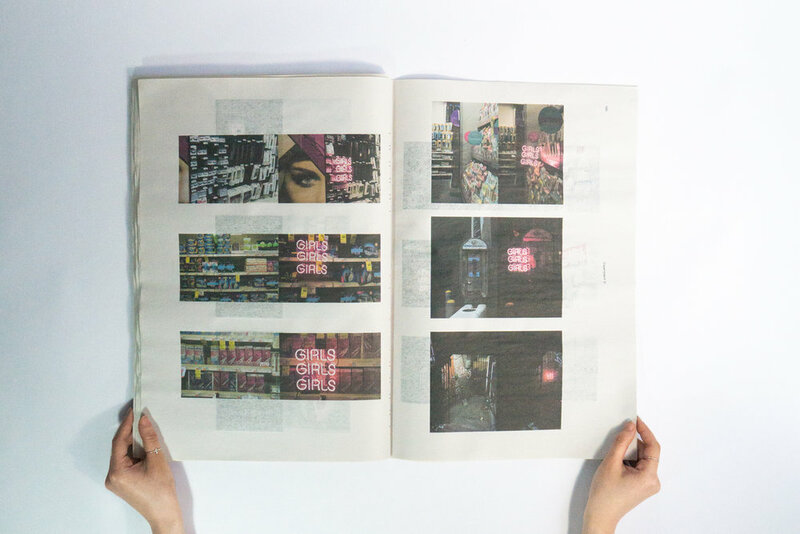 This compendium is a research compilation of my exploration in seeing how the addition of neon lights facilitate a change of understanding in its content and mood of its surrounding space.